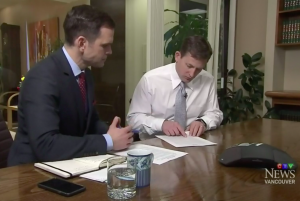 Murphy Battista LLP lawyer Scott Stanley discusses the impact of waivers with CTV Vancouver reporter David Molko, in the wake of a fatal accident at the Richmond Trampoline park earlier this month. This sad event serves as a tragic reminder to be aware of the rights you may be signing away when you sign a waiver in BC. Full CTV story here.